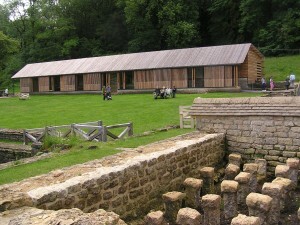 The Roman villa at Chedworth, near Cirencester, was abandoned in the fifth century. The roofs must soon have collapsed, and local builders seem to have helped themselves to the stonework, little of which remains. By the time of its romantic rediscovery in 1864, the entire site had been buried under woodland. 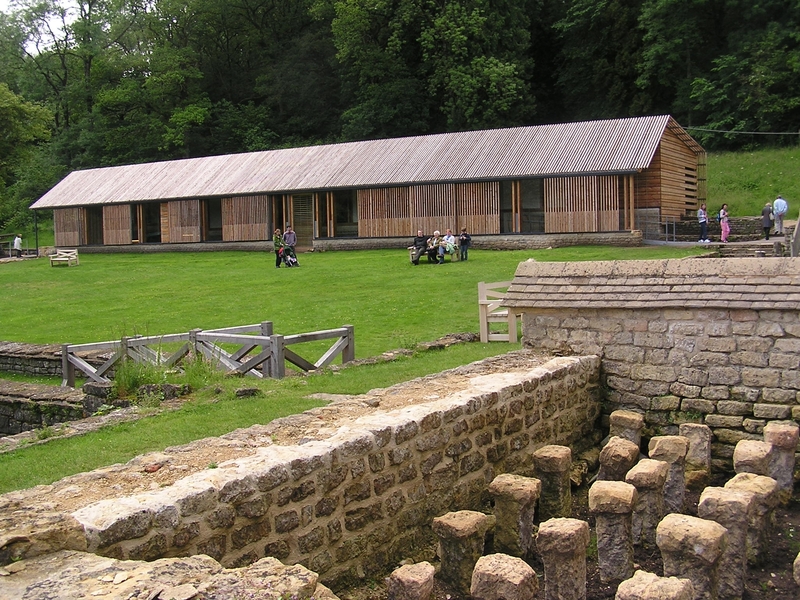 The surviving evidence at Chedworth is of a luxurious house that had enjoyed its heyday in the fourth century. It had grand reception rooms, under-floor heating, a pair of bath-houses and fine mosaic floors that are still largely intact. Despite Constantine’s Edict of Toleration and the example of most of his family, Christianity was still the religion of a tiny minority, particularly in the West. There had even been an ‘Apostate’ emperor, Constantine’s nephew Julian, although on his deathbed in 363 Julian is said to have bitterly acknowledged the triumph of Christ: ‘Vicisti, Galilaee’ (You have won, Galilean). 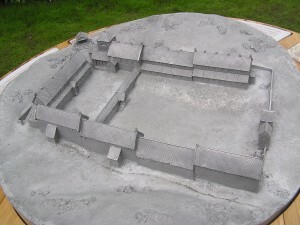 Throughout this period, the most obdurate pagans, ‘often at considerable cost to themselves’, were to be found among that most conservative group, the senatorial aristocracy, who would have included the owners of Chedworth. Thereafter, as the Church was ‘showered with benefactions, and privileges, invited to undertake responsibilities, and progressively given a directive role in society’, Christianity had become ‘respectable and even fashionable’, attractive to people of all ranks. (J.N.D. Kelly, Jerome (London, 1975), pp.1-2.) One of the more unexpected converts was the owner of Chedworth. 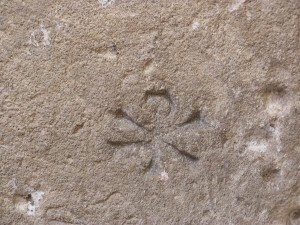 On his orders, the nymphs had been symbolically banished from their shrine, for a coping stone from its octagonal basin was incised with the famous christogram, representing the chi and the rho which are the first two letters of Christ’s name – ΧΡΙΣΤΟΣ in Greek. 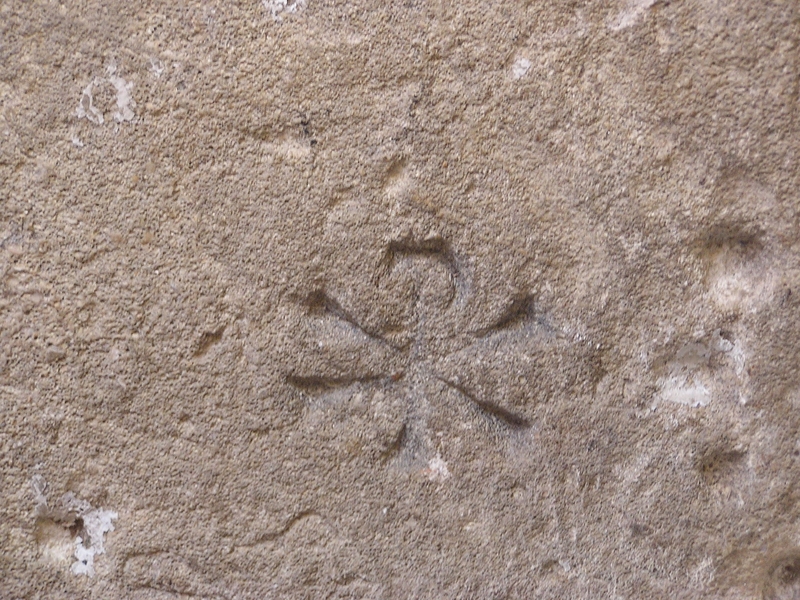 It was the symbol that Constantine had had his men paint on their shields before his great victory at Milvian Bridge in 311, and it appears on fourth-century baptismal fonts (mostly portable lead tanks) that have been discovered throughout Roman Britain. (Paul Stephenson, Constantine: Unconquered Emperor, Christian Victor (London, 2009), pp.1, 5, 135-6, 232-3.) 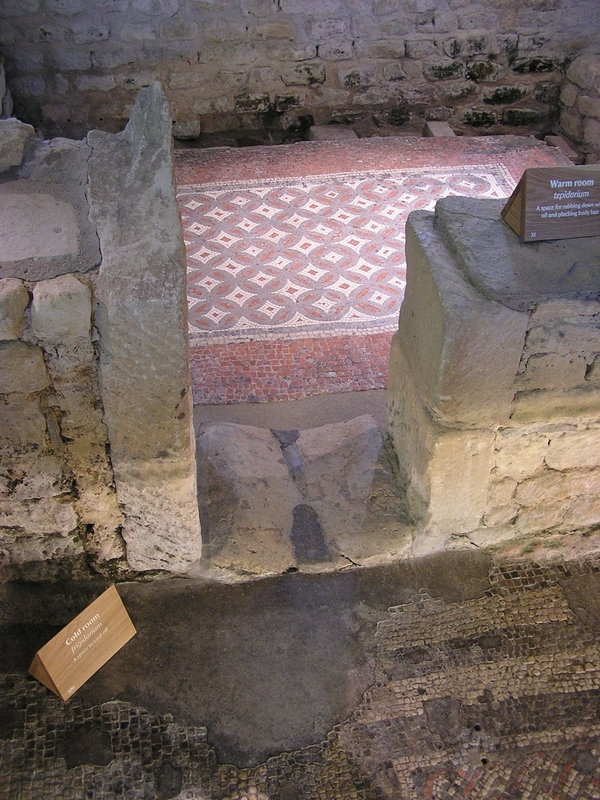 An old pagan altar had been tossed into the Chedworth shrine, which had probably been converted by its owner to use as a baptistery. Christianity at Chedworth had, however, been an aberration. In the late fourth century, there had been a resurgence of paganism in the West. The coping stone had been peremptorily removed from the nymphaeum, and relegated, as building material, to the steps of the west bath-house. 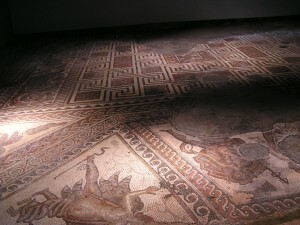 Christianity was to be no comfort to those who had to face the final abandonment of the villa.